Apparent RA: 4h 7m 26s Apparent Dec: +60° 56' 21"
200mm F5 newtonian @F5 , SC3.5 toucam RAW mode. IRB + RGB filters. Exposures. 100x5s and 100x15s luminescence. 40x15s each with RGB filters. 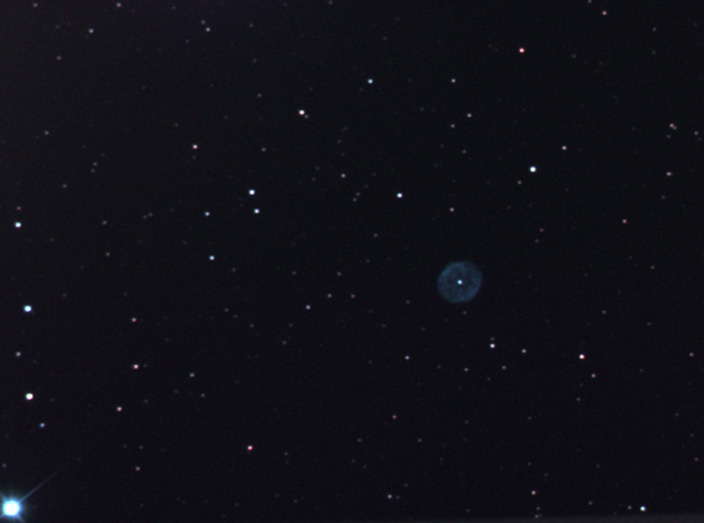 A nice little planetary nebula which displays a suprising amount of detail. I was able to resize the image by 1.3x in photoshop. I'm not sure if it is supposed to look this blue-green, the red frames seemed very dim.